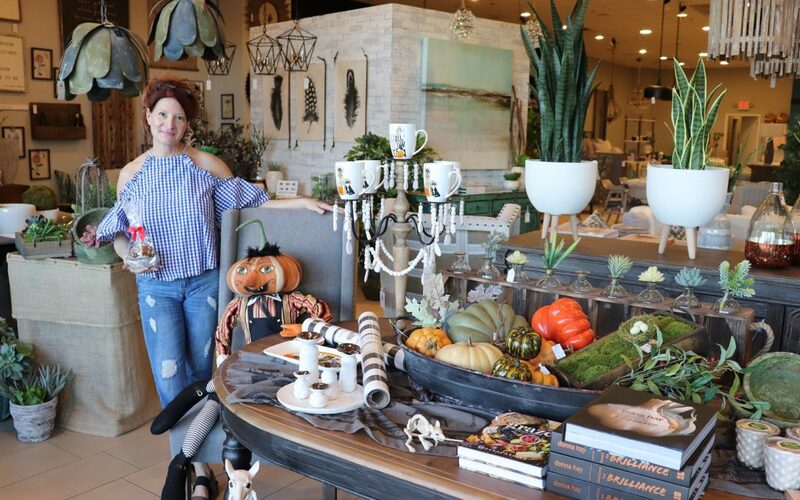 Whether you love a fall harvest decor style or you’re a serious competitor for the scariest house on the block in October, Robyn’s Nest has the most unique fall accessories that compliment any style. As always, we love to mix things up by taking pieces from traditionally adverse styles and designing them together in a way that creates a new, fresh look; so we encourage you to do the same and have fun with it. Take a peek at our top Halloween home decor picks this season that make great gifts or treat yourself to a wonderful new addition to your collection. We Can’t Take our Eye off this One! Nothing gives you chills up your spine quite like that feeling of someone watching you. Shock your houseguests by adding these Cat Eye & Human Eyeball Orbs to the witch’s brew with some dry ice for an unsettling fright or hide them around the room for some unexpected thrills! We just adore the traditional fall harvest look this red pick-up truck brings to any fall collection. With some added decorative pumpkins, you have a rustic, meaningful centerpiece with minimal effort. Doesn’t this just bring you back to that feeling of crisp, fall days and going to pick out pumpkins? Every spooky home needs this jack-o-lantern on their front porch this Halloween. Not only will save you from cleaning of the left over mush from a real pumpkin sitting in the extreme heat we get here in Peoria, but it also features a smoke and light-up effect that fits well in a group of other scary fall decorations or on it’s own as a great stand alone piece. No one can resist pets in costumes so why not enjoy that every morning when you grab your Robyn’s Nest mug from the cabinet. These mugs make the perfect gift for any animal lover or for that friend or family member who can’t get enough Halloween in their life! This Gilbert Pumpkin Head of Gathered Traditions by Joe Spencer is artistically crafted to give your home a charming yet eerie feeling. The detailed design and carefree shape makes this the ideal decor piece for a whimsical take on Halloween. Try pairing Gilbert with our witch tins for a delightfully wicked fall display. At Robyn’s Nest, get some of the most exclusive fall decor items that amplifies any collection varying from simple and sweet, to complex and downright chilling. For more fun and festive fall decorations, stop by our store in Peoria to browse our full assortment!